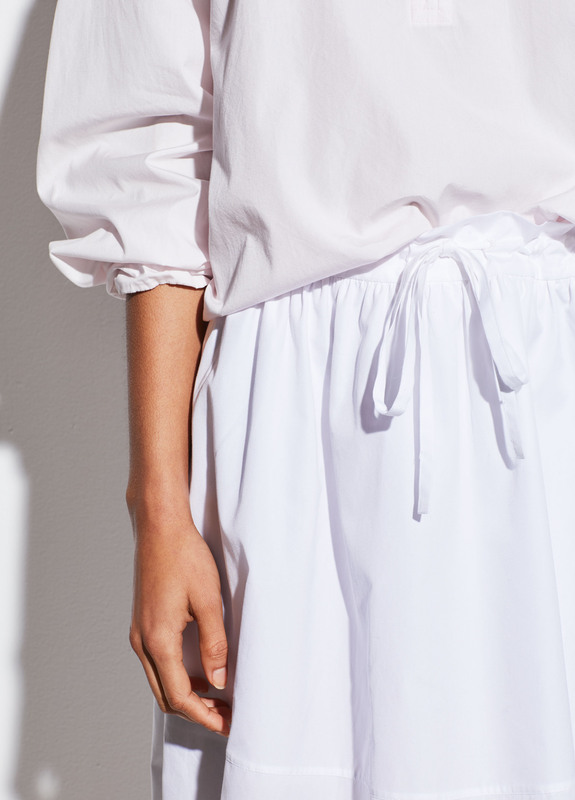 The wide hem skirt is cut from Japanese cotton that holds its shape beautifully. Try it with the swing front pullover shirt tucked in—you'll be able to see the cinched elasticated waist. Model’s height is 5’10", bust 32", waist 24", hips 34". Model wears size S.